Al-Ayyam Al-Jamilah is a twice-yearly magazine distributed to retired employees and adult children of the Saudi Aramco Enterprise. Much of the content is compiled from letters, articles, news clippings and photos submitted by its readers. The magazine often includes historic photos that shed light on life in the Saudi Aramco community during the early years. It also includes articles prepared by retirees touching on their past and the company's history. 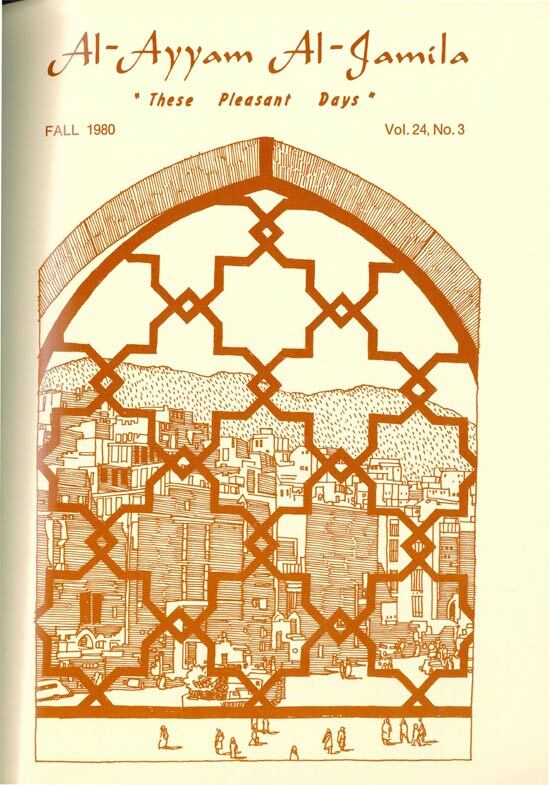 One issue annually features the Saudi Aramco Annuitants Reunion, held every year since 1958. Other retiree reunions and gatherings of offspring are also covered. Thinking about Bill Bartlett, his almost thirty years with Aramco, his unflappable style, his contributions to the community, his adventurous spirit and capacity for friendship, his hat and moustache, the word that comes to mind is - unique.